Because in this post I am talking about asking your clients for referrals at the right time !! But in this post I am also touching on aspects of a successful sales strategy that the intelligent sharp sales rep can deploy to maximize his outcome from his referrer.. Nothing sells better or faster than word-of-mouth. Sales generated through referrals are larger than those resulting from other lead-generation activities. Why? Simple. By making the referral, the “referrer” is eliminating uncertainties like “can this rep be trusted?” and “is this rep worth my time?” The sales process builds momentum more quickly, resulting in an easier, faster close. Rule #1. Ask for a Referral at the Right Time. Reps typically ask new customers for referrals when the first sale is closed, as in: “do you know of anyone else who needs our product?” That’s dumb. Why should an existing customer – who has already stuck his or her neck out by buy from you – stick it out further by risking their own business contacts? The time to a referral from a customer is AFTER your product has produced a measurable benefit for that customer’s firm. Rule #2. Ask Your Source to Take Action. If all you get is some contact information, you’re just setting up a cold call. Instead, ask your current (happy) customer to call or e-mail the contact. That way the current customer is essentially “endorsing” you, which will jump start your sales process. IMPORTANT: Ask your current customer to give you a heads-up when they’ve sent the email or made the call. Without this confirmation, you won’t know the best time to call the contact, which is within a day (preferably less than an hour) after the referral has taken place. Rule #3. Keep Your Source in the Loop. Your existing customer is likely to have ongoing commuication with the prospect, and can help you move the sale forward simply by remaining involved as a interested spectator. So follow up! Contact the referrer within a day after the promise to send the email. Express gratitude and (if necessary) gently remind the customer of his or her commitment. After you meet with the new contact, send another e-mail with a thank-you and a status report. (E.g. “You were right; Fred’s firm does have a need.”) Finally, if the referral actually results in a sale, be sure to send another thank-you. 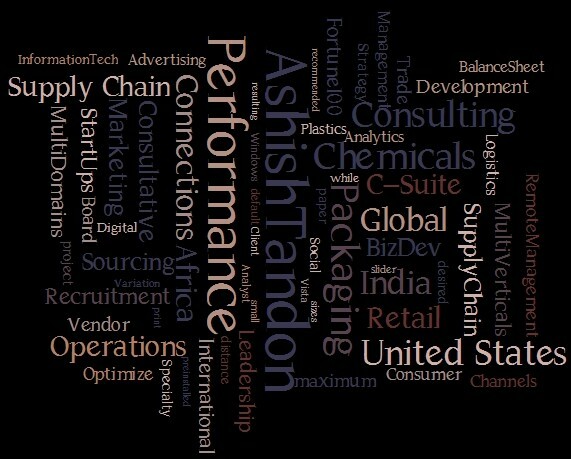 If you found this blog useful, please visit me on https://ashishtandon.wordpress.com and follow me !! How To Screw Up a Referral Sale ! Referrals as we all in Sales know is a great way to get a foot in the door and eliminate the first 3 -4 steps of a prospective sale. BUT as young sales reps we have certainly done our fair bit of screwing up a referral sale and this piece is an attempt to help the newbies in their sale careers!! I have identified 4 instances of how we can potentially screw up a referral sale and used these descriptions to teach young budding sales stars to be mindful of this intricate process..
You provided a detailed quote without a quid pro quo. If you’re going to do any significant work for a client, you must be “paid” by some concession to you that leads towards closing the deal. You should have demanded to present to personally to the CEO — or something else that might have given you an inside track. You didn’t differentiate your firm or your offering. While you may consider yourself to be a “boutique” firm, you obviously didn’t convince the prospect of that, because you ended up in a discussion of price. If you actually were a boutique firm, you’d be charging the highest price, and the customer would be happy to pay it. You bid on a deal without local resources. Since web development tends to be something of a commodity product, one of the few differentiators available to a provider is the quality of the sales rep. You needed a warm, personable body working the customer personally, in order to stand a chance of competing. You didn’t take the hint that you lost the deal. If the prospect is consistently blowing you off, they aren’t going to buy. Period. You’re just fooling yourself if you think that you’re still going to get the deal. Any resources that you expend pursuing this deal further is wasted. It’s over; deal with it. How to Respond to “It Costs Too Much”- the 12 questions mantra !! This one had to come up one way or the other !! Budgets are tight…contract negotiations are tighter still !! So in order to address this very real problem, I decided to write about this..hope this helps scores of you out there facing the same dilemma and resistance from your buyer as my sales team is. “it costs too much.” in todays times, you all would have heard it all too often ! …what if we could show you how our solution would actually save money? Create you sales playbook with my blogs and empower yourself and your sales teams…would like to hear your stories if these ideas made a difference to your top line contributions and your bonus ! !